Jami sent a link to The Perfect Nose blog which regularly offers free downloadable books. These books were published in the 40’s and 50’s and their copyrights weren’t renewed, therefore making them public domain. She’s generous enough to scan them, crop and edit them so we can all enjoy those books. This week she uploaded Dress Design Draping and Flat Pattern Making by Marion S. Hillhouse and Evelyn A. Mansfield. This book (340 pages) was first published in 1948, but is still very good. The process of pattern making has not changed, it is the fabrics that have changed. Read more about the book here, the download link is at the bottom of the page. 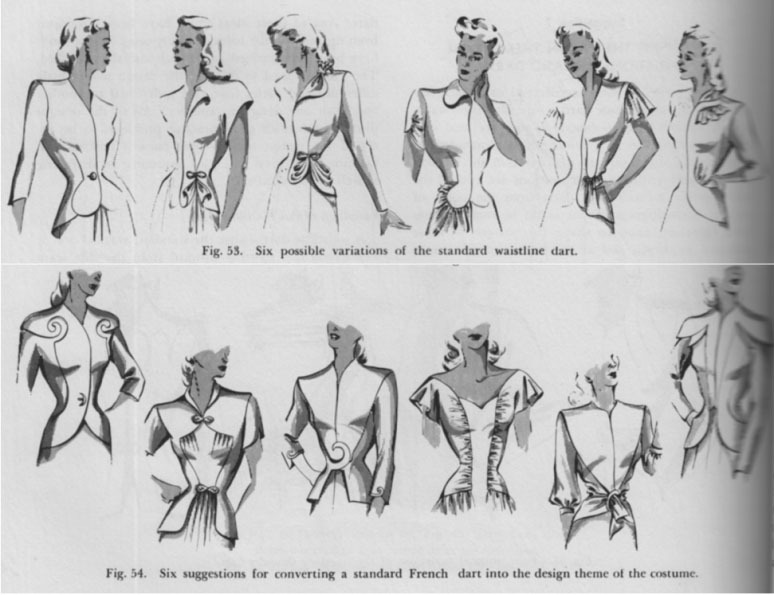 Fundamentals of Patternmaking for Women’s Apparel (Book II: Style Patterns) by Esther Kaplan Pivnick (published: 1958). Thanks for the link love, Nienke-much appreciated. This book is no longer in the public domain. Someone realized how valuable it was! This book is no longer in the public domain? Was the copyright renewed or something like that? I’d love to know exactly how matters stand, since I have a paper copy and it’s on our to-do list for copyright research. I believe that the copyright was renewed. The book is no longer available in public domain is our understanding. I paid some serious money for a perfect copy of this book several years ago, and don’t regret it a bit. The professors in the Clothing and Textiles department at Texas Tech said that Hillhouse and Mansfield were the experts on draping and flat pattern.